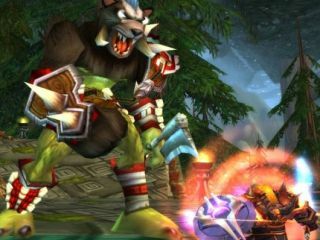 World of Warcraft players are being targeted by an increasing numbers of viruses, according to research by malware experts Kaspersky Lab. There has been a staggering 145 per cent increase in the amount of worms and Trojans that are designed specifically to invade a host computer and steal passwords for Massively Multiplayer Online (MMO) games. Virus analyst Sergey Golovanov from Kaspersky Lab said: “The targeting of online gamers is running in parallel with the evolution of online games. In real figures, eight to nine new worms targeting MMO passwords are appearing globally every day, with five or six Trojans every HOUR. MMOs are being targeted because they offer a quick and simple financial bonus, with hackers able to sell ‘virtual gold’ and items from the game in one foul swoop or, potentially in a more subtle fashion, slowly drain accounts over time in the hope that the player won’t notice. Secondly, the accounts themselves, linked to characters that have taken hours, days or even weeks of game time to create, level and equip, can be sold off in the black market.